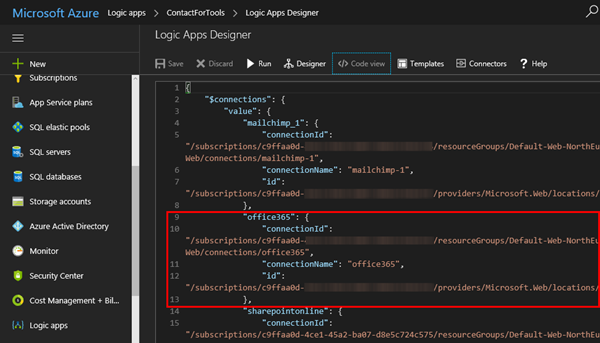 If one of your coworkers created a LogicApp some months ago and you want to "de-personalize" the connections used in a flow, you can modify the settings easily – if you know how to. So, in my case, in a LogicApp that’s sending emails and adding users to the newsletter system, the creator used a personal Office 365 account. I wanted to change that to an email "service" account. So I created a new mailbox account as first step. Then, the solution is simple: First check the connections that are used in the LogicApps. Here, I wanted to modify the connection of the "Office365" connector as follows. 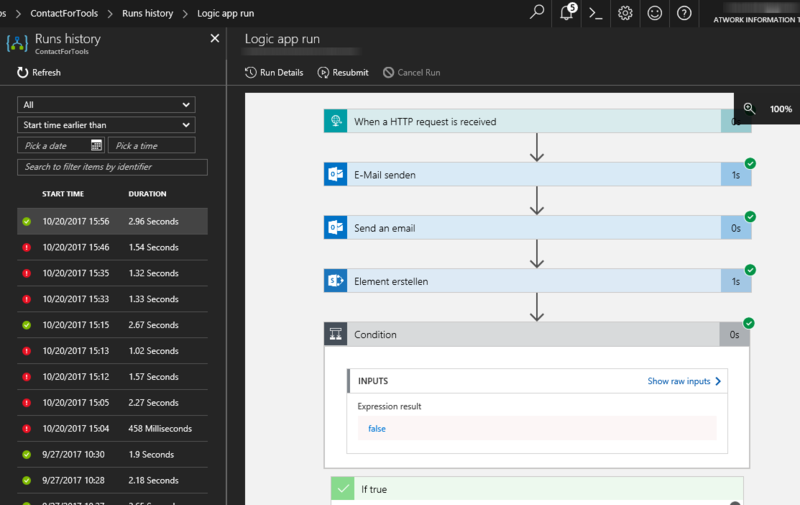 Then, search for the connection in the Azure API connections services. Select the connection and open the Edit API connection. 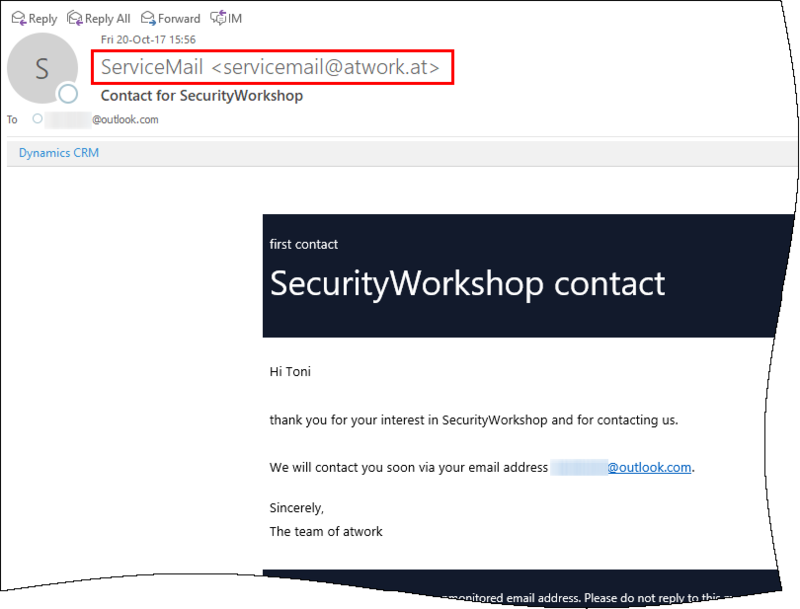 Here you can modify the user and authorize the connection with the new username and password – here I replaced the existing personal user with a general service user with an Exchange mailbox so that this account will be used for sending emails. I did run it and retried the flow. The LogicApp worked without errors (here it took some attempts till the Office 365 mailbox was provisioned and I did a sign-in to the new mailbox to ensure the login works without any security hurdle and to check the mailbox). Anyway, as you can see with the small green ok-icons, the last flow ran properly. Don’t forget to change the "From address" in the "Send an email" properties as well! The received email will now use the new service account. Mission accomplished. Voila! 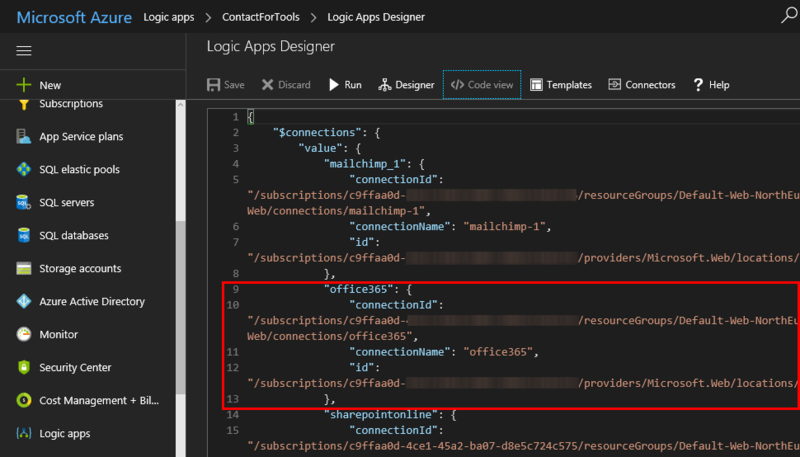 It’s simple to change existing API connections with the API connection in Azure. Hope this helps for managing your existing workflows.